We regret that this week’s event with the Dart Center at Columbia University has been canceled. We will try to reschedule, and if we are able to do so, we will be sure to let you know. If you paid in advance with Paypal, you will receive a refund shortly. We apologize for any inconvenience, and we appreciate your support of SWINY. We hope to see you at a future event. Join Science Writers in New York and The Dart Center for Journalism and Trauma at Columbia University for a talk and Q&A with Bruce Shapiro, Executive Director of the Dart Center. Journalists have always covered violence and tragedy. But rapid innovation in the science of trauma changes what we know about victims and survivors and how best to report on them; challenges the culture of journalism when it comes to self-care and maintaining resilience; and alters the news agenda itself, placing the long-term consequences of violence for individuals, families and communities center stage. Bruce Shapiro, executive director of the Dart Center for Journalism and Trauma, will explore the intersection between trauma science and journalism practice. 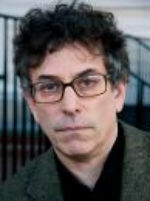 Bruce Shapiro is executive director of the Dart Center for Journalism and Trauma, encouraging innovative reporting on violence, conflict and tragedy worldwide from the Center’s headquarters at Columbia University in New York City. An award-winning reporter on human rights, criminal justice and politics, Shapiro is a contributing editor at The Nation and U.S. correspondent for Late Night Live on the Australian Broadcasting Corporation’s Radio National.